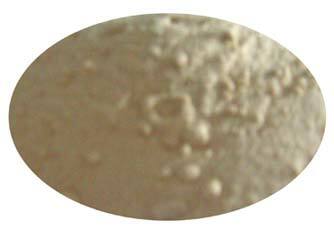 POPBATE-AC is an enzymatic bating agent which works in acidic range. POPBATE-AC is a versatile bating agent based on proteolytic enzymes for all types of leather. This is an optimal blend of proteolytic enzymes from animal and microbial sources. The tailor made formulation has lipolytic side activity which will help in removing the fatty tissues adhering to the skin and thus facilitating an optimum bating action. Preserves the, liide substance and gives the leather a very tight grain. Maintains substance even in areas such as flanks. Improves the feel, the uniformity of colour and firmness of grain. Good scud loosening, smooth grain strongly fallen pelts. Auxiliary agents may be used for further improvements in scud loosening. POPBATE-AC is available in 25kg gunny bag packing and can be stored upto 6 months in a cool and dry place.